SYRACUSE, January 28, 2019 -- Syracuse Community Health Center, a Federally Qualified Health Center serving the greater Syracuse area, announced that Michael Schiano, MD. joined Syracuse Community Health Center, Inc. as the Chief of Adult Medicine at our main site, located at 819 S. Salina Street, Syracuse, New York 13202. Dr. Schiano received his Bachelor of Arts in Biological Sciences from the University of Buffalo. He later received his Doctorate of Medicine from St. George’s University School of Medicine in Grenada. After completing his internship at Alleghany General Hospital in Pittsburgh, he completed his residency at Christiana Care Health System in Newark, Delaware. Prior work experience includes St. Elizabeth’s Medical Center as Chairman of Department of Internal Medicine, and Medical Director at Oswego Hospital and also at St. Joseph’s Physicians Urgent Care System. 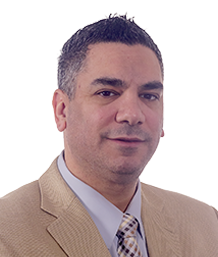 Dr. Schiano currently teaches residents at Upstate and works at the VA Hospital in inpatient hospital medicine. He also owns MDVIP which provides concierge and cosmetic services. Dr. Schiano worked at the health center in per diem capacity, prior to joining us as the Chief of Adult Medicine.